The Red Cross and Red Crescent Day is celebrated every year on May 8. The holiday was founded in honour of the birth of Swiss humanist Henry Dunant. He initiated the creation of volunteer groups to help those wounded in the battlefields. He is the founder of International Committee of the Red Cross (ICRC) and the recipient of the first Nobel Peace Prize. 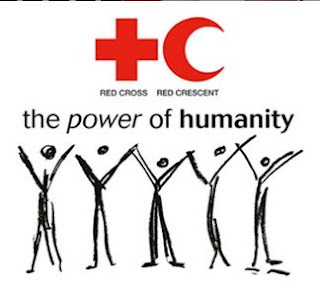 The International Red Cross was approved in 1928 at the 13th International Conference in The Hague. The new name of the organization – the International Red Cross and Red Crescent Movement – was approved at the 25th International Red Cross Conference, held in October 1986. The basic objectives of the Red Cross are to help those wounded, sick and prisoners of war during armed conflicts, as well as victims of natural disasters. It currently operates in 176 countries around the world. On May 8, 1948, the first Red Cross Day was celebrated. Question 1. When is the World Red Cross and Red Crescent Day celebrated? Question 2. What is the theme of World Red Cross and Red Crescent Day 2018? Question 3. Who was the founder of International Committee of the Red Cross (ICRC)?